I HAD to push my writing to the back burner, because of the crazy busy holiday season. But things are starting to slow down a bit so I am going to, as my yoga instructor would put it, breath deeply… slow down, cherish this time… because life will get crazy busy again, before you even have the chance to blink your eye. And now that I have started to write, I have realized I have so much good knowledge to share with you, but I will break that knowledge up in to a couple different posts, and keep this one short and sweet. For the last three days I have been, sweating, breathing, detoxifying, stretching, and strengthening my body in Bikram’s torture chamber. That means I have been going to Bikram yoga. It has been really interesting though, because I have had a different instructor each day. Although, the 26 postures and the 2 breathing techniques are the same, the classes have been so very different. Wednesday, 12/26/12, Cameron taught my bikram class. The room was the hottest. The yoga was continuous, holding the poses, resting briefly, and then moving on to the next pose. This made the yoga more cardiovascular. I had to take a knee for a minute or two, half way through class, but I got up and continued on finishing strong. Friday, 12/28/12, I woke up this morning thinking I may skip class, and go running instead. But I received a text from my friend K, and she was excited to go. So I got dressed, grabbed my mat/towel/ice water… and headed over. Shelly was teaching class. The room was pretty packed today, but I felt good and strong, and more flexible than I have been in a very long time. All the running makes my body so stiff. The warm up poses went well, and then it was time for Standing Head to Knee/Dandayamana-Janushirasana. Breakthrough! Finally after 5 years of practice, I can completely straighten my left leg, and as for my right leg, it is almost there. I know it has taken a very long time but I am not very flexible, so this is big for me. I just continued to kick my leg out. I breathed into the pain and tension and boom I was there. I finished the rest of the class strong. I left totally drenched with sweat. It felt good pushing my body to its ultimate limit. Plus I was in great company. Thanks for coming with me, K! I don’t have any pictures of yoga class today, but I do want to share with you a yoga bag I hand knitted. You can find more photos and details on how I made this yoga bag, on Cashmere&Silk. Blogger Award… this may get personal. I was nominated for the Liebster Blog, by Katie from the blog, fitness, food and photography. I want to apologize for responding to this post so late, but better late than never. I also want to thank Katie for being so sweet to nominate me. So here it goes… 11 facts about myself. 1) I try to eat everything organic. I don’t label myself as vegan or vegetarian but I eat meat in moderation. 2) The last two years I have become passionate in growing my own food. Although, I live in the city, the older I get the more I develop a longing to have some sort of farm. 3) I am a knitter. As a child, my mom taught me how to knit, but it wasn’t until last September that I really began to think of knitting as a form of art. Now I have become a “yarn snob,” guilty of having an obsession with high quality yarn. I love natural fibers such as merino wool, alpaca, cashmere, mohair, angora, silk, cotton, and linen. I also have a knitting blog on tumblr. If you are interested in checking out any of my projects you can find them at my tumblr blog, Cashmere and Silk. My latest Chunky Knit! Hand knit by me. 4) I am a hairstylist. In many ways, I find knitting and hairstyling similar. Both, satisfies my passion, for texture and color, it allows me to build a shape. Me doing hair for photo shoots. 5) I was born with copper hair, as I aged it turned blonde. I started coloring my hair when I was 18 and have been every shade of blonde. Two years ago, I changed my platinum pixie hair, to red. And I love it! 6) I am an artist. Charcoal is my favorite medium. I like to draw people. 7) I love to travel. Barcelona is one of my favorite places in the world. 8) I am a marathon runner. I much rather run far, than run fast. 9) I have been practicing Bikram yoga for 5 years. 10) I drink a Chai Latte almost everyday. 11) I have two dogs. Sometimes I think puppies are cuter than babies. 1) How much time do you spend Blogging every day? Oh I don’t know… It is not consistent. 2) What is the one song that get stuck in your head all day after you hear it? I dunno, it changes all the time! I am always trying to discover new music. 3) What TV shows are on your DVR right now? 4) What is your favorite season and why? I love Fall. The crisp cool clean air makes running so refreshing and enjoyable. Oh and nothing is better than being wrapped up in a chunky knit. I also love fall flavors, such as Chai and Pumpkin. 5) What is your favorite brand of jeans? I would have to say AG, but to be totally honest I live in my black Lululemon leggings. 6) Last movie you watched? I also love documentaries. The other night, I watched one called The Elephant in the Living Room. This is based on Exotic Animals kept as pets. It makes me sick that people are so selfish to keep Lions or any other exotic animal in a cage when they belong in the wild. 7) If you could be any cartoon character, who would you be and why? Ariel from The Little Mermaid. I love red hair. I love the water. I love the beach. I was actually her for halloween. 8) Name one talent that you wish you had. I love to Dance, but I wish I could dance at a professional level. 9) What is your best feature/ favorite body part? 10) What did you eat for dinner last night? For those who I nominated you don’t have to answer any questions from me. Just write 11 interesting facts about yourself and then nominate 11 other blogs. Thank you! This morning I woke up with stiff shoulders and a sore back! Can you remember the last time you did a backbend? Backbends are so healing, and we don’t do enough of them. Make sure you get your backbends in daily. Christy Turlington does her backbends in a dress. From an early age I was always drawn to prayer beads. I found them beautiful, and comforting. However, the rosary was the type I was most familiar with. I grew up attending Catholic school, with a rosary always wrapped around my wrist. My first encounter of Mala beads was in 2008, when I was traveling through, Greece and Turkey, but at the time I had no idea that these strands of beads were Mala beads. However, along with the evil eye and pashminas, the Mala beads were at every street vendor cart. A year or two later, I began to read the ever so popular book, Eat Pray Love. The author Elizabeth Gilbert, wrote this book in order to find balance and discover her ultimate identity. She wrote the book in the creative form of a strand of Mala beads. The point of the beads is to keep the attention of the person during prayer. One bead is touched for each Mantra. It helps one stay focussed during meditation. Mala beads have been used for centuries and actually helped inspire the creation of of the Holy Rosary. Although, I am Catholic, and still have a passion for praying the Rosary, I also love practicing Yoga. I have been practicing Bikram yoga for four years now. Bikram yoga is hatha yoga practiced in a room that is 105 degrees. Yoga for me started out as an intense detoxifying workout. However, now I also enjoy the restorative spiritual side of yoga as well. Being Catholic, I have always found the Holy Rosary beautiful, but it is for prayer and not a fashion statement. It actually is sacrilegious to wear around the neck. However, Elizabeth Gilbert, says in her book, that when she traveled through India especially through holy sites or Ashrams she saw a lot of people wearing Mala beads around their necks. I like the idea of wearing these beads around my neck. I also like the idea of protection and the energy each strand of beads can give, depending on their color or what they are made out of. With that said, I pray on my Rosary, but I wear my Mala. And I wanted to share with you this company I fell in love with. Last year I discovered, Tiny Devotions, and they make the most beautiful Mala beads. The founder of Tiny Devotions, Diana Charabin, has an interesting story. She was introduced to Mala beads at her first yoga class. 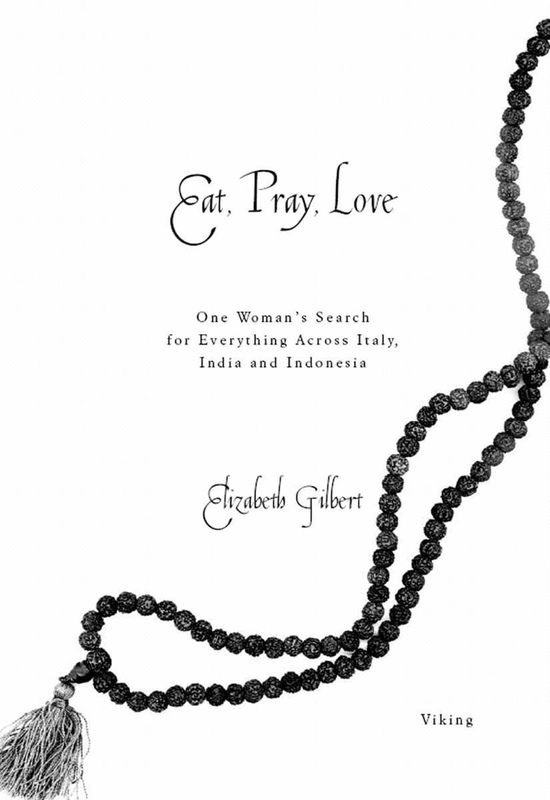 Soon after she too read Elizabeth Gilbert’s book, Eat Pray Love. After finishing Law School, she had this deep desire to be in Bali, so that is where she went, leaving behind everything in Australia. When she arrived to Bali she participated in yoga teacher training. After she completed her training she found herself longing to be creative. She began to collect the rudraksha seeds of Bali and began to make Mala beads. Later she headed back to Canada to continue her career in Law. But still wanting to follow her calling to inspire others she decided to yet again leave Law, and start Tiny Devotions, her company where she can make and sell her Mala beads and other yoga inspired jewelry. One of my favorite parts about Diana’s beautiful Mala beads from Tiny Devotions, is that along with the sacred rudraksha seeds she also includes a crystal stone, or semi precious gems of some sort. This gives each strand of beads a unique personality and an energetic quality. Watch Diana Charabin tell her Story here. I own three different strands of Mala beads from Tiny Devotions. Today I wore my Marathon Mala to work. Marathon Mala, by Tiny Devotions. Even some celebrities like Megan Fox, are wearing these beautiful Mala’s. Photo found on Capricious Yogi. Bottom line- Tiny Devotions has the most beautiful Mala beads. This company is awesome, beautiful, creative, and inspiring. I have been craving Yoga lately. Maybe I’ll go tomorrow?! This photo (found on tumblr) is absolutely beautiful and inspiring!